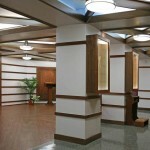 The Bergen Regional Medical Center, located in Paramus, NJ is one of the region’s largest hospitals, and behavioral care clinics, housing many long term patients. 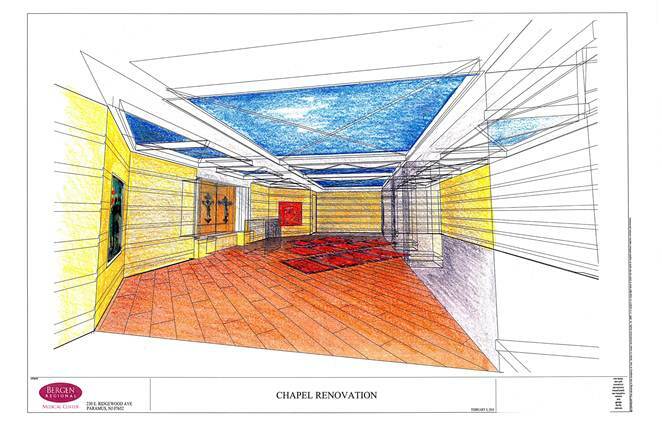 Providing religious services and pastoral care for patients of different faiths was problematic within the existing outdated Chapel. 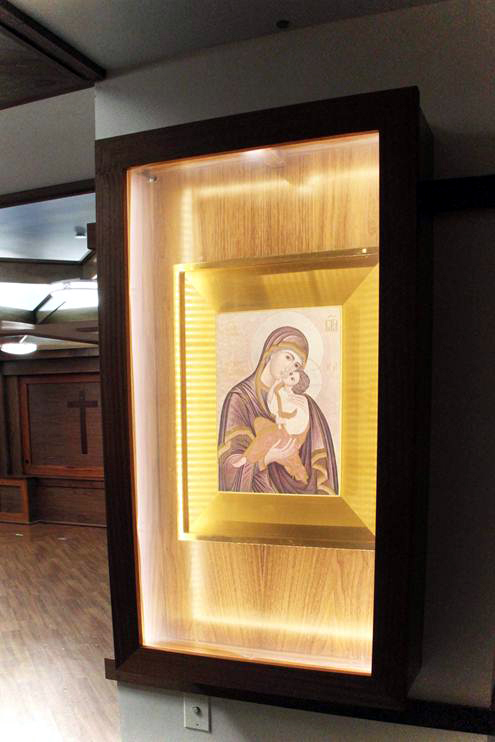 The staff was required to tediously relocate or remove religious icons and rearrange furniture as the different faiths prepared to worship. 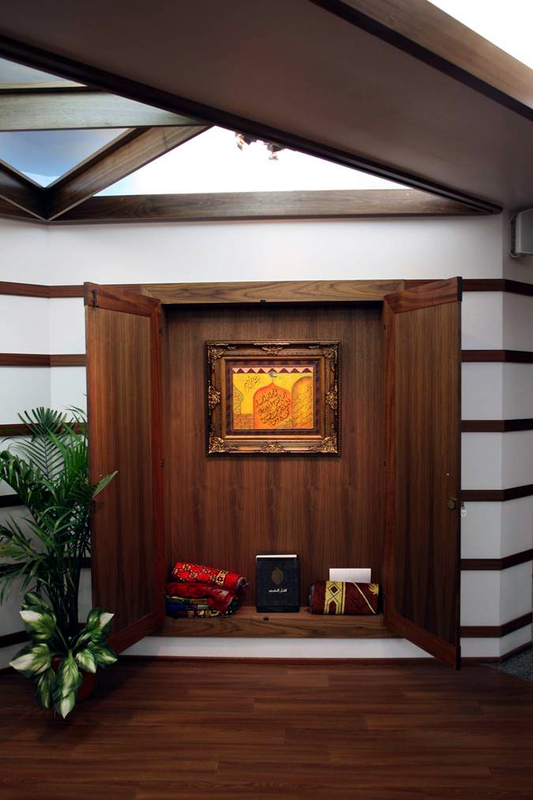 In addition, there was a lack of space to store religious items such as prayer mats, icons, chairs and holiday decorations. 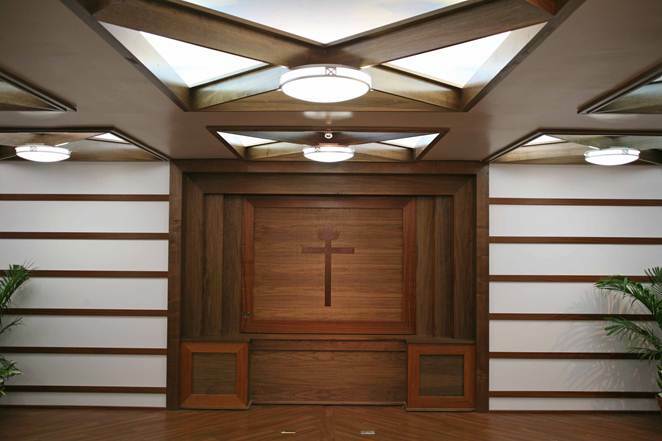 Joel Ives, AIA and Tony Kowidge developed the concept of creating a central cabinet, with recessed sliding doors that initially appears to be just a neutral wood panel, but slides away to reveal a crucifix. 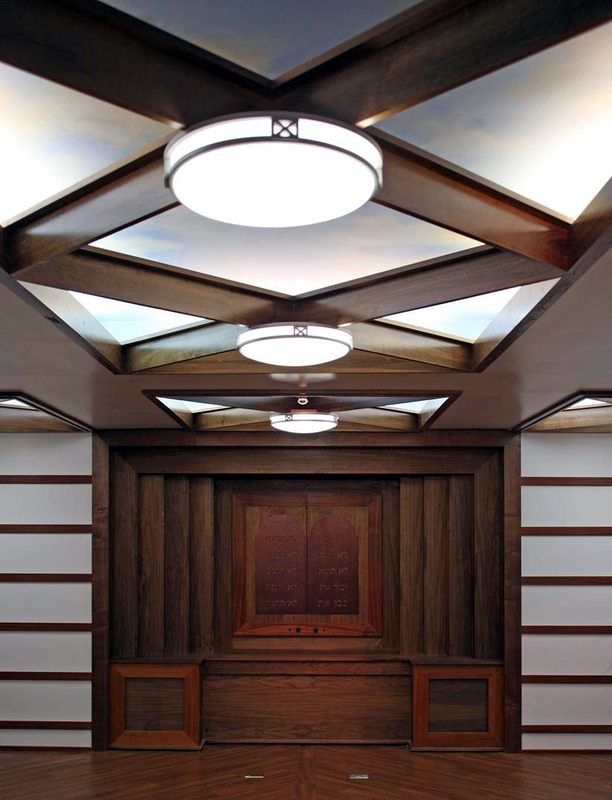 Then a subsequent series of sliding wood panels are decorated with a Protestant cross, then the Ten Commandments, and finally a Jewish Ark holding the Torah. 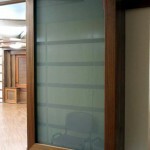 The entire construction was built into a new wall, which provided much needed storage and, allows space for media equipment. 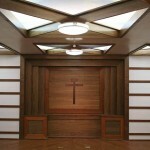 As a result, the Chapel can also be used for secular presentations. 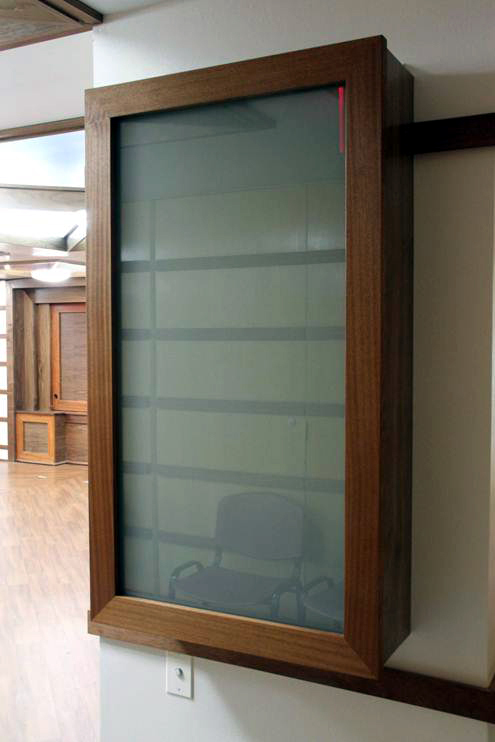 A carefully oriented Muslim prayer cabinet recessed in an angled wall faces towards Mecca. 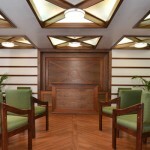 All of the inticate woodwork which was designed by the Ives team, and was constructed by the studio of CityJoinery, located in Brooklyn, NY. 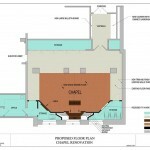 The end result facilitates quick changeovers for various religious services. 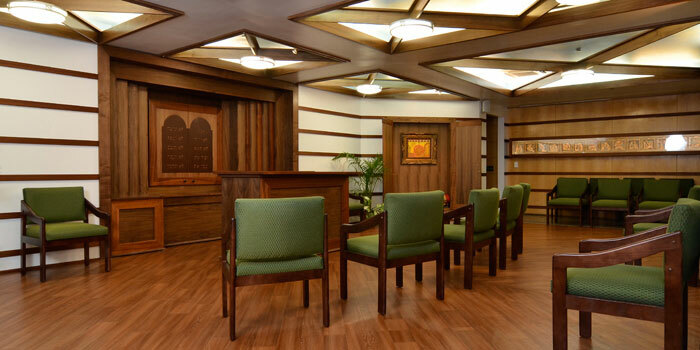 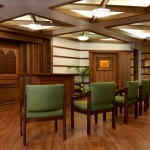 Providing the necessary prayer stations for patients and visitors who use the facility on a fixed schedule every day and still allowing the chapel to be non-denominational posed a difficult task. 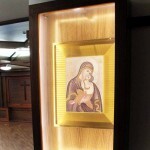 Religious icons had to quickly appear or disappear. 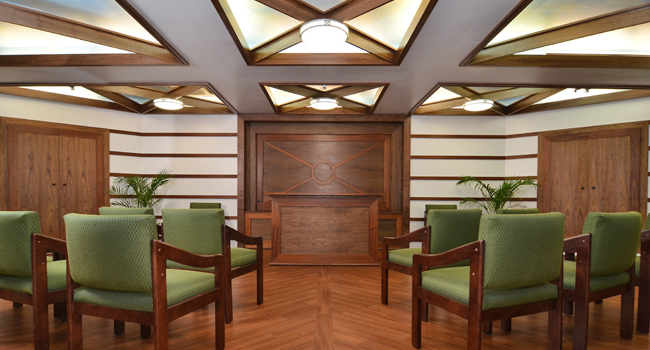 In addition, patients drift in and out of the Chapel at random during the day and expect to see only images representing their faith. 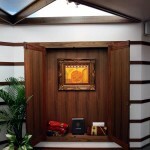 The solution to satify everyone was met by using an innovative product “electrified privacy glass,” The icons are placed in light boxes and can be viewed through clear glass before reverting to an opaque white glass after ten minutes and being hidden from the next worshipper of a different religion. 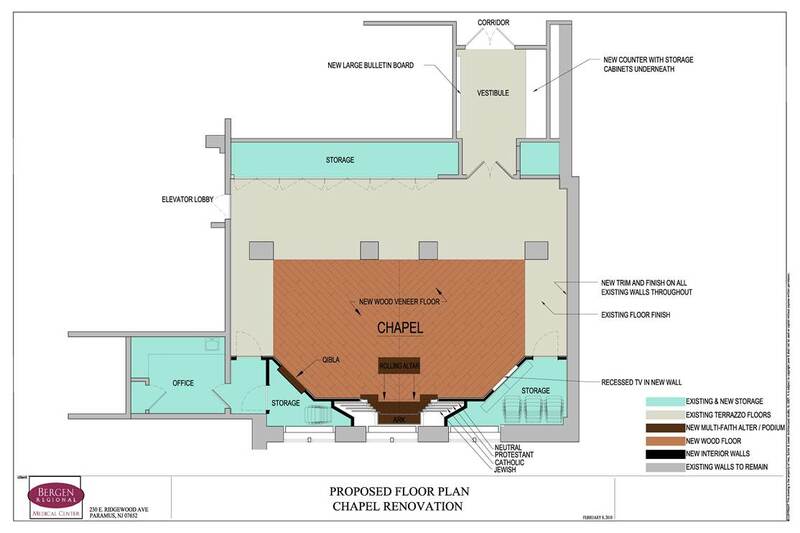 This solution enables an otherwise neutral space, the ability by the push of a button to cater to the individual congregant’s personal faith and quickly change from a church to a synagogue to a mosque. 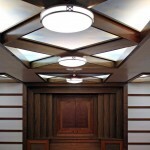 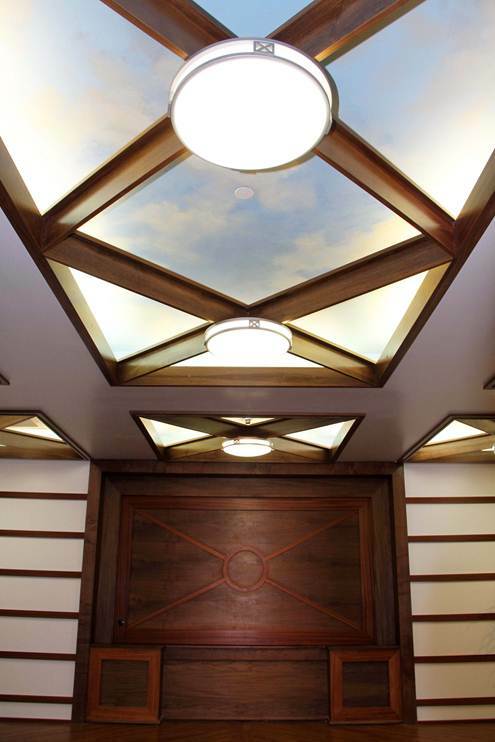 The original ceiling coves were retained and modified with the addition of a floating intersecting wood beams, with attached light fixtures. 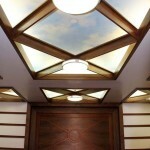 The ceilings of the coves were given a smooth refinish and a cloud motif was painted on the ceiling to suggest the eternal. 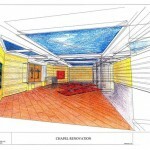 This was accepted by all the religious groups as being appropriate and desired since the space has no windows. 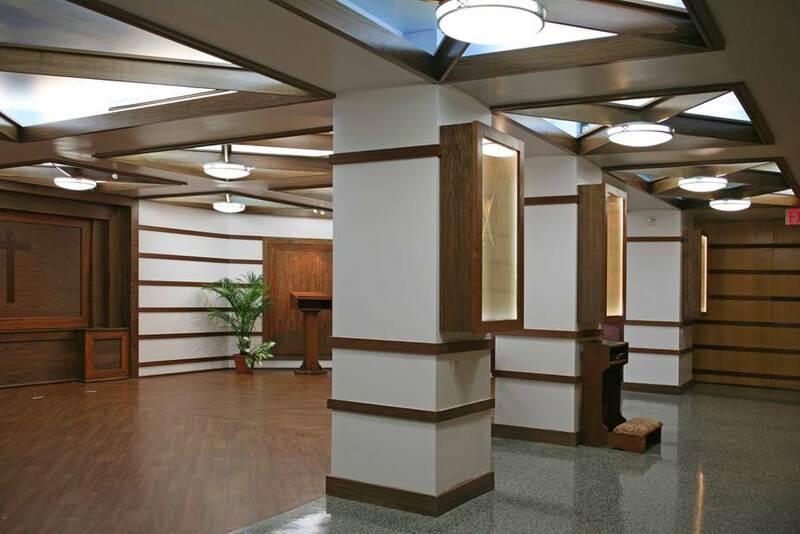 The original terrazzo floors were polished and the inset carpeting was replaced with faux wood vinyl planking.